Each end every single one of you. From Melissa in New Zealand, to that One Guy in South Korea, to the Bloggess, to whoever is tumbling past here because of the A-Z Challenge. Every single one of you has made this experience more worthwhile. You've given me feedback, and criticism, but most importantly, praise. Sidney from My My Mother-In-Law is Still Sitting Between Us... gave me the stylish blogger award. It is now the second blogging award that I've gotten. Why? Because you people have excellent taste. You can recognize greatness when you see it, and that is a valuable trait. You should be proud of yourselves. 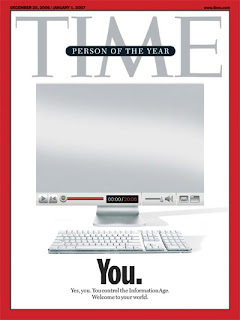 Time Magazine caught a lot of flack when they announced that their 2006 person of the year was "you." But you know what? They knew what was up. They knew that consumers have all the power. They knew that without you, we are all meaningless. Thank you for loving me. I know it isn't always easy. Sometimes I get boring, or brief, or long-winded, or just a little too schmaltzy, but underneath it all, I'm still amazing, and you can see that. There is an awful lot of awesomeness going around...it's true. Yes, the reader is what gives the writer purpose, even if the only reader reading our stuff is ourself. 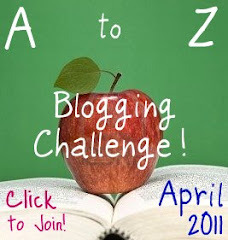 Thanks for sharing, and it's a pleasure to meet you via the A-Z challenge! You write, I read. You are awesome, I am also awesome. Q is for "Less QQ More Pew Pew"